• Evaluating and contributing towards a continuous improvement of the quality of health services..
As part of regular assessment and for ongoing Quality Improvement an onsite visit was initiated on 2nd April 2017 where five surveyors were welcomed for fourth ACI re-accreditation. Over five days, New Mowasat Hospital has undergone a rigorous evaluation process where surveyors toured all hospital areas to observe patient care; talked to staff, clients, families including documents and files review. After an extensive review of report and findings from five surveyors, the Accreditation Decision Committee announced that New Mowasat Hospital has earned DIAMOND level Accreditation for the second time. ACI Team congratulated New Mowasat Hospital for commitment to provide safe and high quality health services. New Mowasat Hospital scored a 100% compliance in Population Focus (Working with communities to anticipate and meet needs), Accessibility (Providing timely and equitable services), Continuity of Services (Experiencing coordinated and seamless services), and in Efficiency (Making the best use of resources). In April 2014 the Survey Team from Accreditation Canada spent five days at the Hospital observing activities, interviewing patients and staff, and reviewing documents. The Team spent significant amount of time on patient units, observing care as it is carried out. Moreover, the Team got to track patient through his or her hospital stay--in person and through medical records--and found out how the Hospital's system and processes work in supporting patient care. After all has been said and done, the final verdict arrives. We at Mowasat Hospital are very pleased to announce that on April 2014, the Accreditation Canada has awarded the Hospital with a Diamond Accreditation, in recognition to its dedication and commitment to excellent standards for patient care and safety. Diamond is the highest level of recognition for performance excellence that an organization can achieve in health care from Accreditation Canada’s Qmentum International Accreditation process. June 2011, the hospital raised the bar to meet the Canada International’s most recent set of best practice standards: “Qmentum International”. The hospital achieved an overall of 98% Quality Index with most of the teams scored 99%-100% in the ACI survey, entitling the hospital to be accredited with the Platinum Level of excellence in quality care & services. By earning this certificate, New Mowasat Hospital confirms that, while one of the oldest private hospitals in the country, it continues to renew equipments and services proving itself to be the most efficient healthcare facility in Kuwait. The Accreditation Canada International (ACI)) is the leading health service accreditation organization in Canada for nearly 50 years. August 2008, New Mowasat Hospital received its first accreditation by the Accreditation Canada International (ACI), the worldwide leader in raising the bar for quality health care. New Mowasat earned accreditation for complying with international health care quality standards including: achieving the highest level of performance possible, improving patient outcomes, and creating an environment for continuous improvement. Many issues have been taken under consideration for our Accreditation. Through committed efforts, we enhanced our patient care, as well as our delivery of service, with dedicated staff collaborating for strictly one purpose: Our patients. Based on the findings of the Triennial Hospital Survey from 6th February to 9th February 2017 and the decision rules of The Joint Commission International (JCI), New Mowasat Hospital has been granted the status of ACCREDITED. New Mowasat Hospital scored a full 100% score in Quality Improvement and Patient Safety, Patient and Family Education, Patient and Family Rights, Care of Patients and Staff Qualifications and Education. January 2014, New Mowasat Hospital has achieved re-accreditation from Joint Commission International. The hospital achieved 100 % compliance in all standards related to Quality Improvement & Patient Safety,Governance & Leadership and Patient Education. The overall Quality index remained 97% in all the other standards compliance of best practice. This shows our commitment towards constant improvement and raising the level of services to our patients and community. 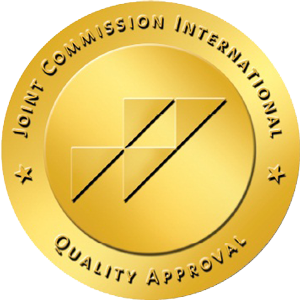 November 2010, New Mowasat Hospital has earned accreditation from Joint Commission International, the worldwide leader in improving the quality of health care. Joint Commission International’s on-site evaluation of New Mowasat Hospital occurred was conducted by a team of international health care experts, including a doctor, nurse and an administrator. For this accreditation to succeed effectively, all teams worked together in harmony and provided all the information in detailed manner. Through these persistent and continuous efforts we are following our mission and working for a common goal, constant improvement. This will ensure our accreditation and raise our level of service to our patients and community.